It’s blueberry season here in Michigan, and you know what that means! 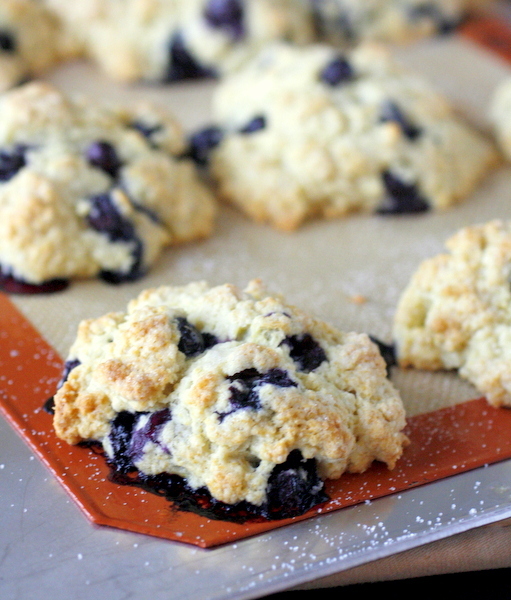 Lots and lots and lots of blueberry baking going on over here. 🙂 I’ve already made and frozen plenty of blueberry vanilla butter, I just made blueberry pudding dessert last night, and blueberry muffins are making a very frequent appearance on our table. 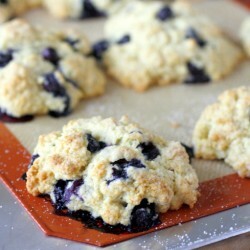 These fresh blueberry scones are just the latest in a long stream of blueberry recipes I’ve tried. And they are delicious! 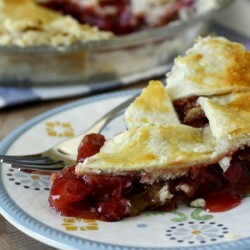 They are tender and moist with just the right amount of crunchy sugar on top. 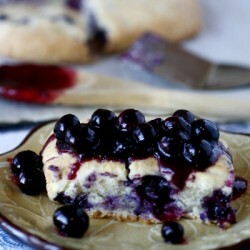 They are chock full of bursting blueberries and are absolutely delicious when served warm. They have just the right amount of sweetness – they are plenty sweet, but you don’t feel guilty eating one (or two!) for breakfast. 🙂 These scones didn’t last long around our house – I hope you like them as much as we did. Preheat the oven to 375°F. Whisk together the dry ingredients together in a bowl. Add the butter and rub it into the dry ingredients with your fingers. In a separate bowl, stir the eggs, yogurt, vanilla extract, and lemon zest or oil together. Add to the dry ingredients and stir just until combined. Stir in the blueberries. 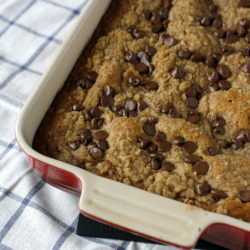 The dough should be the consistency of a wet drop-cookie dough. Use a muffin scoop, jumbo cookie scoop, or 1/4-cup measure to scoop the dough onto the prepared sheet in scant 1/4-cupfuls, leaving about 2" between each. Brush the scones with melted butter, and sprinkle with sugar. 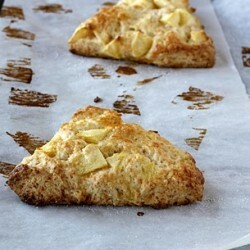 Bake for 20 minutes, or until lightly browned and a toothpick inserted into a scone comes out dry. Transfer to a cooling rack to cool. Do you think I could use 1/2 whole wheat flour for these? 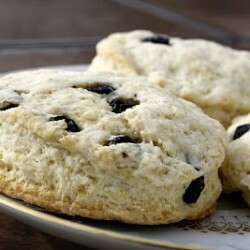 Have made the sub for muffins but wonder if scones are different. Thanks! 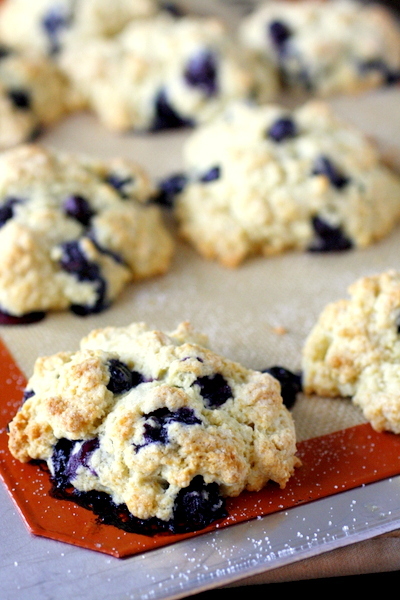 Can these blueberry scones be frozen?